I bought two bottles of Osawa Grape Premium Juice from Yokote ViNERY again. I strongly recommend it to those who cannot drink alcohol, for their special days. I have lots of visitors here so I added the link to the sequel. 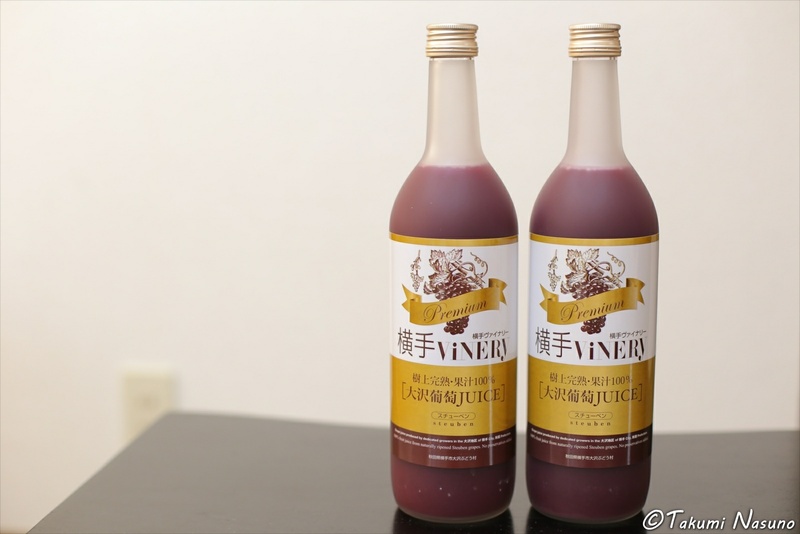 I would like to introduce the gorgeous grape juice which I introduced before because I bought two bottles of the juice again. It was Osawa Grape Premium Juice from Yokote ViNERY at Yokote City, Akita Prefecture which I introduced in this blog a half year ago. 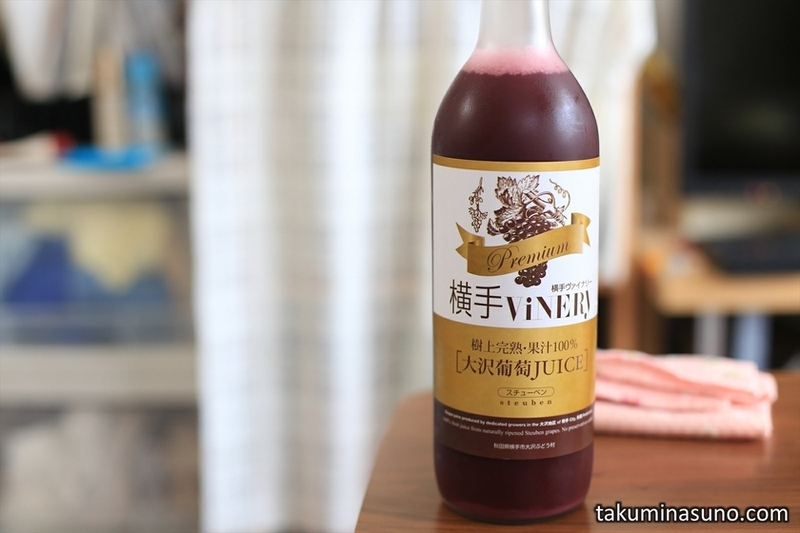 They revolutionized the rich flavor by aging the normal Osawa Grape Juice for one year. It has such a strong impact in its taste that it made me forget the taste the food I was eating with it. The quality of the taste is as gorgeous as expensive wine. I especially recommend it to those who cannot drink alcohol, for their special days. As I explained it in my past post, there is few places which sell this grape juice. They say that the normal Osawa Grape Juice is on sale at some of the Seijou-Ishii stores. But they also say that the Premium one is only available in the very limited Seijou-Ishii stores like the one in Yurakucho. Even there, the number of the bottles is quite limited. The easiest way to buy it is to give a telephone call to the tourism association! 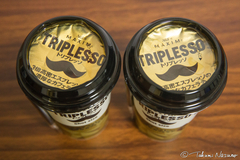 According to them, the rough estimation is as follows - delivery = 1,000 yen, each bottle = 2,000 yen. 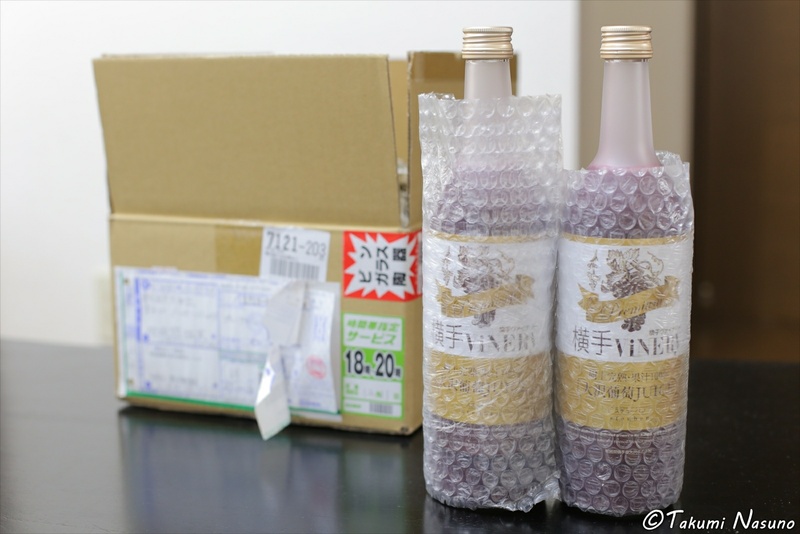 As I ordered two bottles, the total cost was around 5,000 yen. It costed a lot. But the biggest surprise was how long it took to be delivered to my house! Indeed, they packed the bottles on the very day, and it was delivered to my house the following day. I was so moved by their service mind. It is much more convenient to give a telephone call to the association, rather than to go around the Seijou-Ishii stores. 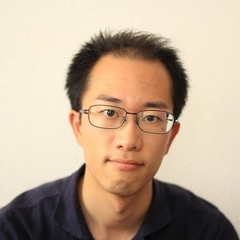 It is also good in the point of giving more money to rural areas, not cities. 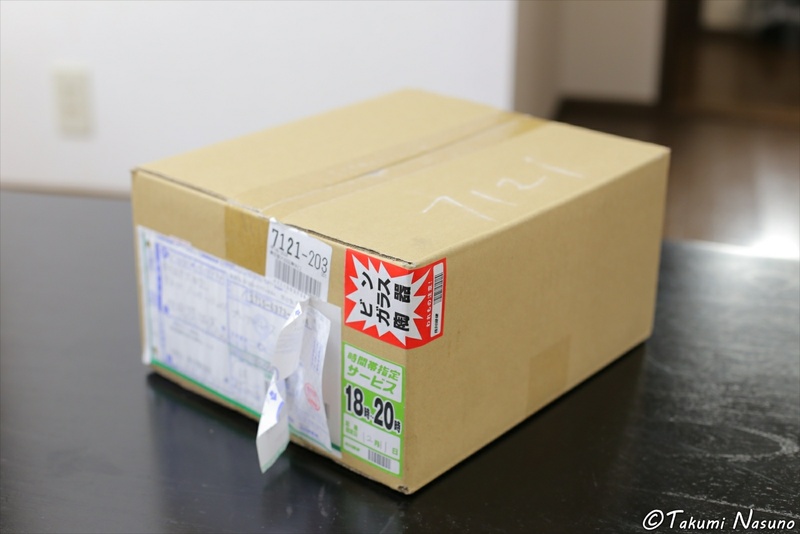 So, this is the box delivered. The inside was also guarded with bubble sheets. And here're the bottles of Osawa Grape Premium Juice! Long time no see!! I drank one at the Christmas, and the other at the New Year's days. They give you a dominant special feeling to your table so I would like you to enjoy them! 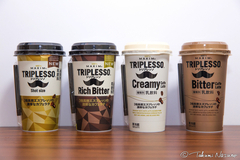 New TRIPLESSO now available in supermarkets! 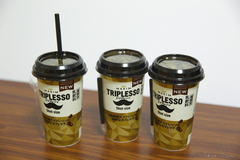 Great News - Y'smart sells TRIPLESSO!!! 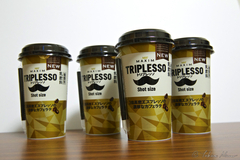 Good News - Chilled Cup of TRIPLESSO is now Available not only at SANWA & Summit Store, but also at Don Quijote! 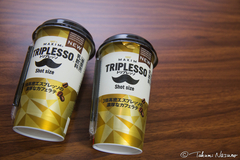 Good News - I found the Chilled Cup Category of TRIPLESSO not only at SANWA but also at Summit Store!